Spot opportunities and resolve issues. Get alerts on business threats from the field: out of stocks, damaged products, injuries, food safety breaches, recalls, damaged equipment and facilities, security threats, returns, theft, and more. Send alerts to defined users in-app or via email. Facilitate fast issue resolution and transparency through in-app tasks and in-email resolution links. Notify relevant parties, track resolution, and aggregate details — including prevalence and location. 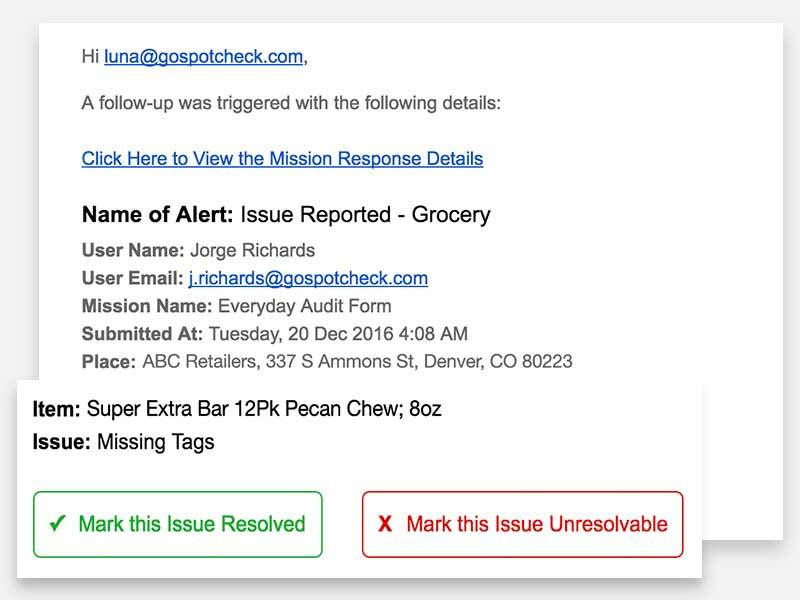 Confirm and document resolution with automated recap emails. Integrate resolution documentation with third-party applications to mitigate future risk. Capture opportunities in real time with your mobile workforce. 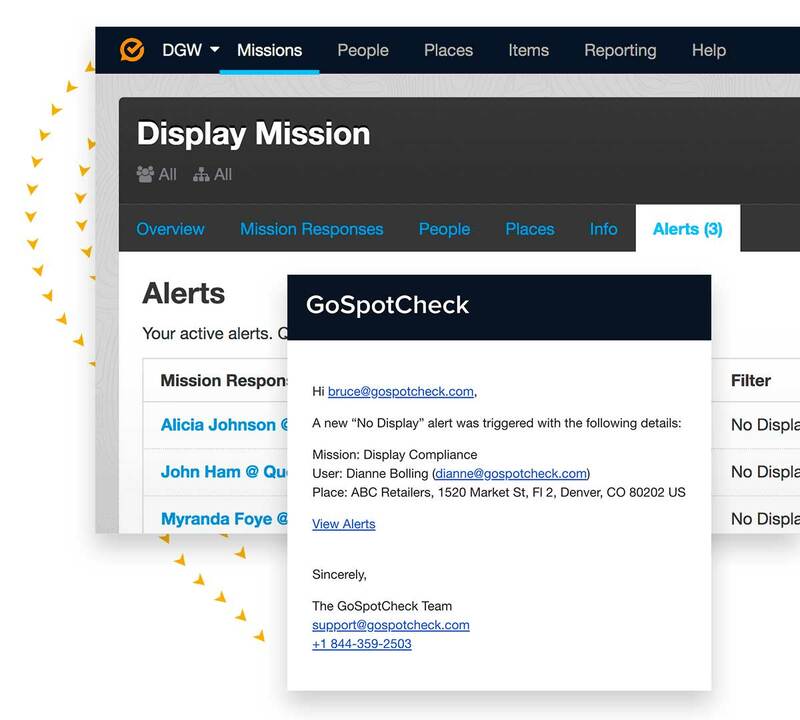 Use alerts to drive timely action in the field. Communicate time-sensitive information. ‍Ensure your message is seen. Reduce time spent sending, reviewing, or searching for information about key initiatives. Focus teams on activities that drive revenue.